The autonomous-truck is certain to revolutionize port logistics. Together with a great team within the Digital Business Solutions (DBS) department, working on developing pilots in the port for this exciting technology, as well as port-systems to support it. We strive to make this port more efficient, the environment cleaner and also improve safety. 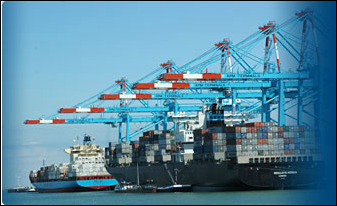 The Port of Rotterdam is constructing the Container Exchange Route (CER). Main purpose: efficient exchange of containers and strengthen the leading postion of the port of Rotterdam as a transshipment hub. Development of a shared pre-gate area at the City Terminal location, Reeweg, Port of Rotterdam. - ICT Projectmanagement, first trucks January 2017. 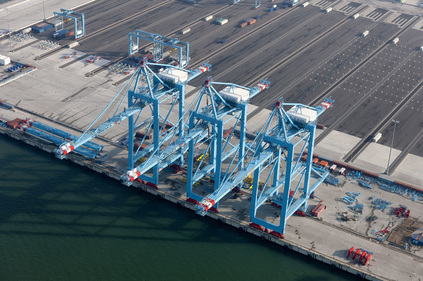 - Developed the ICT Masterplan for greenfield, fully automated container terminal on Maasvlakte II, Rotterdam, the Netherlands. - IT Projectmanagement. Greenfield fully automated containerterminal. Initial annual throughput capacity of 2.7 million TEUs, most technologically advanced container terminal in the world, capable of handling the world’s largest containerships with 1000 meters of quay, and a 20-meter depth. Opened April 2015. Indonesia Port Corporation (IPC) is the brand name of PT. Pelabuhan Indonesia II (Persero), a state owned port operator operating the Ports in Indonesia and also the Tanjung Priok Car Terminal (Indonesia Kendaraan Terminal) in Jakarta. The Car terminal started a project to implement a Car Terminal Operating System (Inform SyncroTess). Successful Go-Live at November 4th, 2013. Supporting projectmanagement ICO terminals on Go-Live of new terminal operating system (Inform SyncroTess) for the car terminals in Antwerp and Zeebrugge. Capacity 2 million cars/year. First successful Go-Live at Antwerp terminal on August 11th 2012, next successful Go-Live for 3 terminals in Zeebrugge at October 14th, 2013. ​MSC Terminal Valencia is TIL's western Mediterranean transshipment hub and distribution gateway for the Iberian Peninsula and Southern Europe. ​Supporting Project Management on the go-live of the new Terminal Operating System (Catos) replacing the existing Cosmos system. Successful Go Live on June 2nd 2013. IT projectmanagement. Greenfield fully automated container terminal. Initial annual throughput 2,7 Million TEU. 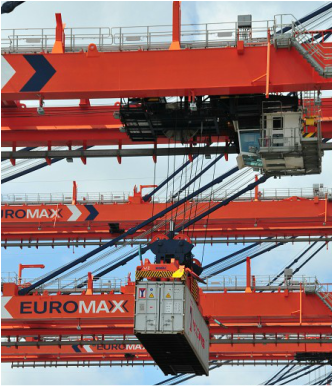 Succesfull implementation of Euromax' Terminal Operating Systems Navis/Express and Sparcs, TBA/TEAMS, Delosy gate solutions, Refcon and others. Official opening Sept 5th, 2008. APM Terminals, Vado Ligure, Italy. 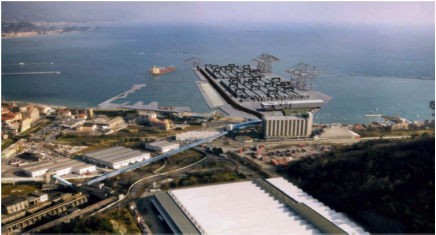 IT projectmanagement, preparing ICT Masterplan for new to be developed semi-automated container terminal in Vado Ligure, Italy. To be opened in 2016. IT projectmanagement. Greenfield container terminal. Initial annual throughput 2,1 Million TEU. Opened in May 2006. - Design and implementing new Terminal Operating Systems. - DeCeTe terminal, Duisburg, Germany; design, construct and startup greenfield inland container terminal. Opened 1999. - BILK terminal, Budapest, Hungary, consulting on terminal operations. - CSKD Intrans terminal, Prague, Chzeck Republic, consulting on IT systems. Project engineer. 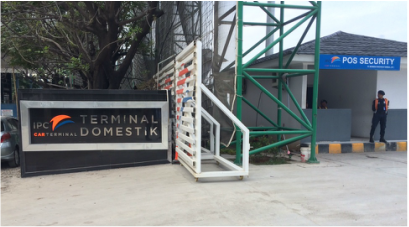 Development automated container terminal Delta Dedicated East (DDE). Official opening 26 september 1996 by Prince Willem-Alexander. First carriers are the Global Alliance; Nedlloyd, APL, MOL MISC and OOCL.